We are fortunate to work on many projects here at Master Sound, across myriad genres. Each is compelling and inspiring. And we’re always ecstatic when a record, EP, or single on which we’ve worked with a fantastic band or artist gains acclaim and renown—whether local, national, or international. 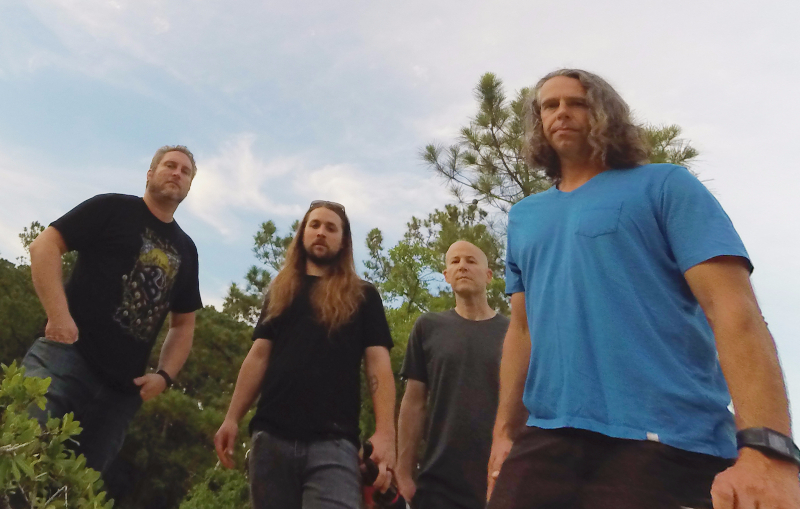 Virginia Beach hard-rock-stoner-rock-quasi-metal-whatever-descriptor-fits band Freedom Hawk dropped their most recent album, Beast Remains, on Friday, March 23. The record has been greeted with a bevy of great reviews and general kudos from critics and fans alike. Freedom Hawk spent six weeks with us in late 2017 tracking and mixing Beast Remains. It was an invigorating experience, and we are happy to celebrate their success as they prepare to head across the pond for a much-heralded European tour, taking in a variety of venues and festivals across the UK and the continent. 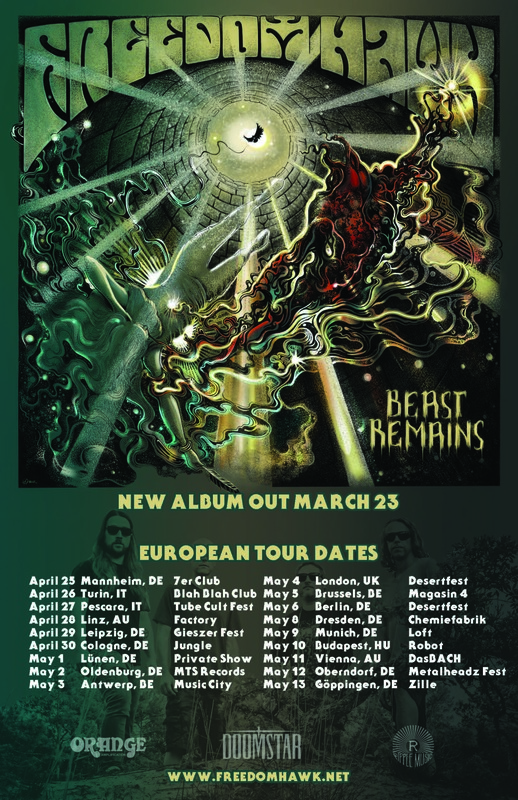 The April/May European tour includes stops at Desertfest London, DesertFest Berlin, Tube Cult Fest Pescara, IT Tube Cult Fest, Gieszer Fest Leipzig, Metalheadz Festival Bayern, “Riot Surf Boards” event in Munich, and shows with Dopelord in Brussels & Mannheim. Here’s a quick compendium of the press the band has received thus far, from various critical outlets—with links to the recording’s salutary reviews. And thanks again to the band for entrusting us with production duties. We had a great time with a superior band at the top of their form. We expect further stellar reviews, and we congratulate the band on their achievement. Thanks for listening.